When we compile this Guidebook every other year, we look for 100 Top Case Studies across all areas of PR, from crisis management to digital PR to corporate social responsibility to media relations. We bring you a mix of companies of all sizes, and campaign budgets of all levels to give you a behind-the-scenes look at the successes, the mistakes and the lessons learned of all kinds of PR initiatives. 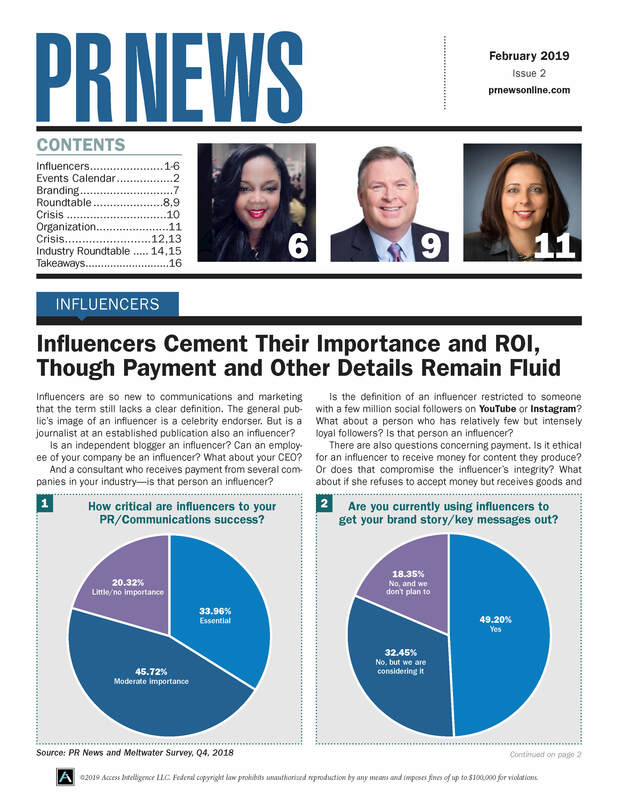 This is just a taste of the leading communications strategies you’ll find in the pages of the PR News 100 Best Case Studies Guidebook. This one of a kind book, from the publisher of PR News, is packed with useful, specific, "how they did it" case studies -- a resource that you and your team can use for years. You'll learn the strategies employed by corporate, nonprofit and agency PR professionals; you'll get budget breakdowns and measurement strategies; and you'll be equipped with fresh, new ideas about how to execute a digital PR campaign or program that produces positive results. You'll hear what worked, what didn't, and why. Each study demonstrates some facet of ingenuity, innovation or integrated thinking, illuminating communications as a function that has matured with poise and established its indispensability to business practices. Surely there are more than 100 outstanding examples of well-executed communications campaigns and initiatives. In every case study in this book, you will take away at least one smart communications idea. Think about it: 100 ideas from one book. Start taking notes, applying these ideas and sharing them with us at PR News. We hope your next campaign will be included in the next volume of this Guidebook. If you’re thinking of reading this book, you get it. You know what PR can do. And you know what the absence of PR can do. But there’s still a lot we can learn from our PR peers: new and smarter ways of influencing stakeholders. We hope you'll enjoy PR News' Top 100 Case Studies!